The simple rule is – if it's your property, it's your hazard and your responsibility. Bush fire hazards are any materials which can fuel a fire, such as leaf litter, grass, garden mulch and woodpiles. They can also be made up of solid combustibles or flammable liquids and gases such as petrol, kerosene, alcohol, LPG, natural gas, and acetylene. All of these can be especially dangerous if they're close to your home or other buildings, or are over large areas which can increase the intensity of a fire. It is every landholder's responsibility to manage the bush fire hazards on their property. a fire permit before using fire to treat a bush fire hazard on your property. This approval is for your own safety, as well as the safety of your and neighbouring properties. During the bush fire danger period, a permit is also required if you're planning to burn off a hazard. A permit may be suspended, such as when there is a total fire ban in your area. It's important to remember that there may be other restrictions in your area. Check with your local Fire Control Centre or council. A Bush Fire Hazard Reduction Certificate (HRC) may be issued for the environmental approval of bush fire hazard reduction works in accordance with the Bush Fire Environmental Assessment Code. You may apply for a free HRC by contacting your local Fire Control Centre and complete an application form. Your application may be processed within as little as seven days unless further information or negotiation is required. If your HRC application is approved you will be provided with a HRC containing specific conditions that must be followed. If you need assistance in completing your application form our Application Instructions may be of assistance to you in the first instance. The Bush Fire Environmental Assessment Code is currently being reviewed. You can find further information on the Bush Fire Environmental Assessment Code and the review process on the Bush Fire Environmental Assessment Code page. clear underlying vegetation such as shrubs (but not trees) on their property within 50 metres of a home, without seeking approval, when undertaking that clearing in accordance with the 10/50 Code. You can find further information on the 10/50 vegetation clearing page including the range of buildings for which the 10/50 Code may be applied. A fire permit is required for burning activities during the Bush Fire Danger Period. For more information on applying for a permit visit our fire permits page. If you're concerned about a potential hazard on somebody else's property, there are a number of options available to you. Firstly, you may wish to speak to the person who owns or manages the property and discuss your concerns. A landholder may not be aware of the hazard, or the risk it poses to your property. You can also get advice from the team at your local Fire Control Centre, who can provide you with information about bush fire preparation. You can also make a formal Bush Fire Hazard Complaint. The NSW RFS will then inspect the potential hazard. 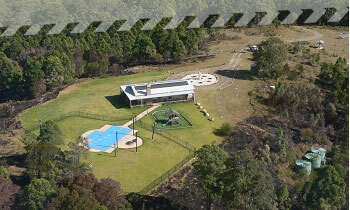 If it is identified as a bush fire hazard, the NSW RFS can direct a property holder to treat or remove it. In the event that a property holder doesn't treat or remove the hazard, the NSW RFS will remove the hazard and can charge the cost to the landholder. Read our guide Before You Light That Fire for more information about hazard reduction burning on your property. You can also contact your local Fire Control Centre for more information.